The Horror Movie BBQ: A Look At Hello Mary Lou Prom Night 2 VHS Art! Until then, I'd like to you feast your eyes upon art from around the globe. Sources vary from eBay to Amazon to Google so if your photo is presented, please forgive me for not crediting. These have been kept on a hard drive for a while now. 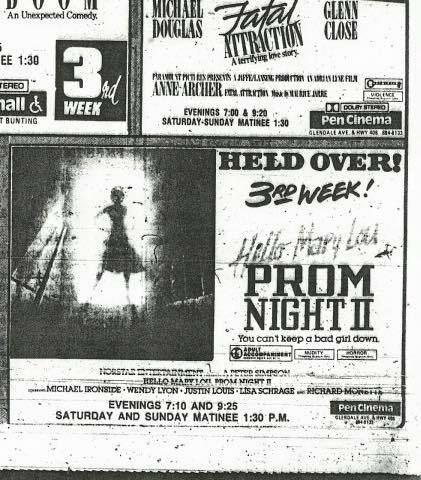 Extra bonus: Print ad for the release of all 4 Prom Night movies in Australia, I believe?